Vocabulary videos are the perfect way to incorporate academic vocabulary into instruction! Students either choose words they want to learn more about from a text, or are given a list of important vocabulary words from the text. 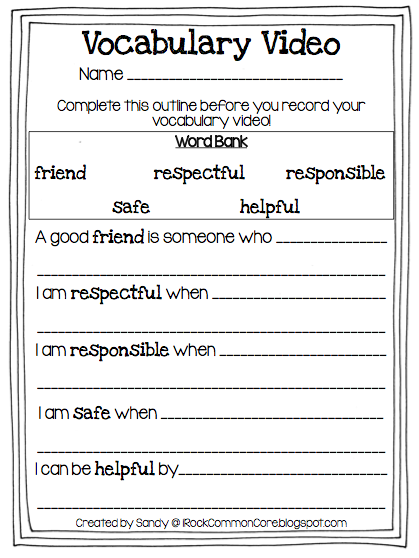 Keep in mind, this vocabulary project can be done before reading to front-load, and even during reading or after! 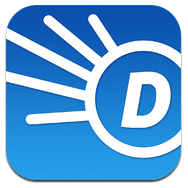 Student use the Dictionary app to learn more about each word. They then fill out an outline like the one below to help prepare them for when they start recording. 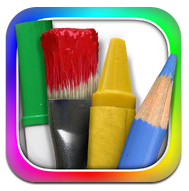 Students then use the Drawing Pad app to create a picture of each vocabulary word. Keep in mind any drawing app will work! We time the students for 3 minutes for each drawing in order to keep them on track and moving forward with their projects. Don't forget to remind students to save their final vocabulary drawing to their camera roll! 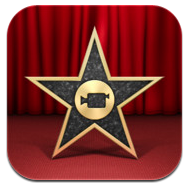 Students then import their pictures into iMovie. After each picture, students read their definition of the vocabulary word into iMovie and record themselves reading it using the video camera! We always allow students to share their final projects with the class! With that said, it might be fun to do a jigsaw vocabulary movie where each student has one word to "teach" their group using a vocabulary video. Or, you could even create a class vocabulary video in which each student is responsible for a word, and then all the vocabulary words are complied into one iMovie. The possibilities are endless! ELA (4) Interpret words and phrases as they are used in text, including determining technical, connotative, and figurative meanings, and analyze how specific word choices shape meaning or tone. 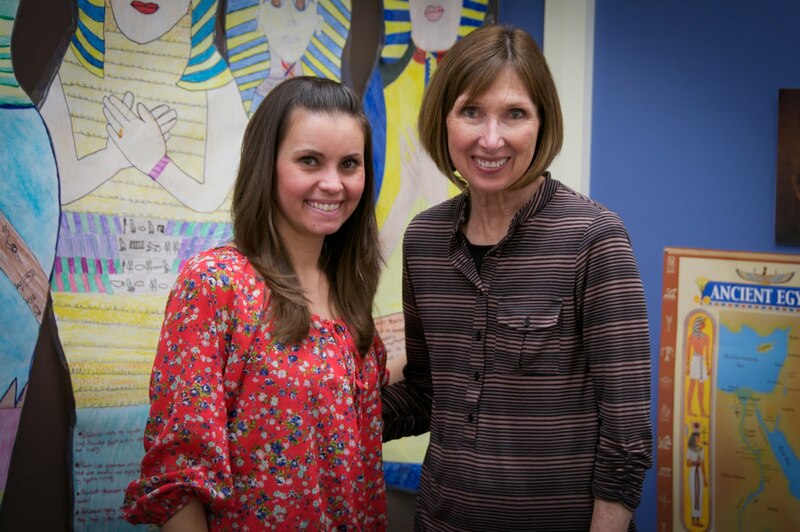 Check out one student's final vocabulary video project here! English is a crazy language, with an exceptional number of grammatical conventions, and required exceptions to the conventions. And that doesn’t even explain the senselessness of pronunciation. There are many ways of saying the same thing, with different shades of meaning. By choosing words carefully, we can increase accuracy and precision of meaning. https://vocabmonk.com helps you to learn new words leading to your vocabulary enhancement.